Rich Moore's Wreck It Ralph mined the rich world and history of video games for both comedic and storytelling gold. 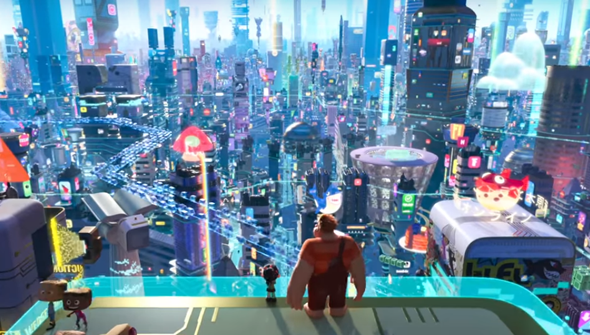 The upcoming sequel Ralph Breaks The Internet: Wreck It Ralph 2 is set to head beyond the arcade and into the wider world of the internet. There still seemed to be much potential left in the gaming world, but will this change of direction work out? Now that the first teaser has arrived, it seems at least some of our fears have been put to bed. There's not too much here (this is just the initial teaser after all) but it seems that the sequel looks to be just as funny and just as charming as the first movie. There's a lot of potential for laughs in internet culture, and we'd wager that this teaser only begins to scratch the surface of what the film will contain. Beyond the jokes about click-bait, casual games and eBay, it's clear that the central relationship between unlikely friends Ralph and Venellope is going to remain a major part of what makes the movie work. No doubt it will attract some comparisons with last year's Emoji Movie, but goodwill from the first Wreck It Ralph earns this the benefit of the doubt that this will be more than a soulless cash-in. Reports from the early footage screened at last years D23 certainly seem to back that up. Check out the trailer below. Ralph Breaks The Internet: Wreck It Ralph will arrive in cinemas in the US on November 21 and in the UK November 30.